Welcome to Griffin Tower - Heroes of Might And Magic 3 fanzine, and more! Welcome to Griffin Tower ezine! We're basically dedicated for Heroes Of Might And Magic 3 resources; however, this Homm 3 fanzine will also feature other strategy games similar to the game, as well as contain articles of cRPG games, such as the original computer role-playing game series "Might And Magic" (VI: Mandate of Heaven is my personal favorite! ), and games similar to that. 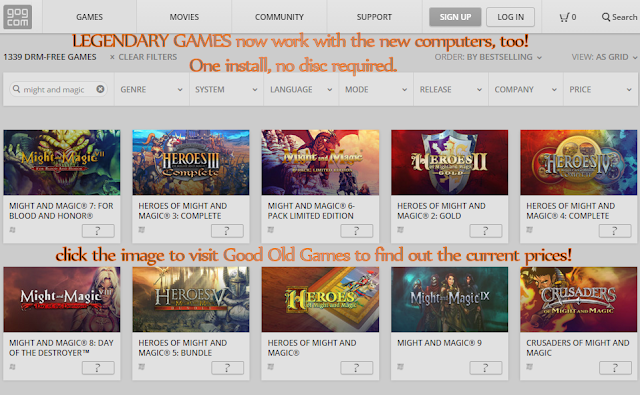 Not everyone is aware that Heroes Of Might And Magic series is actually a spin-off of Might And Magic series! On the part of Heroes Of Might And Magic 3, we're focusing on fan-made content such as new modding resources, map packs, and such; which will improve or alter the original gameplay experience. That's why we're called "Homm 3 fanzine", because fan-made content of that fantastic game is one of our primary targets for the articles we provide; we won't be hosting many files of our own (only my Homm 3 map-pack for the starters, which I'll keep developing), but rather giving links to worthy mod- and map-downloads and such (always giving a credit to the actual host of the files). Homm 3 still has large fan-base / community revolved around it. Griffin Tower will also feature resources and articles of other games similar to Heroes Of Might And Magic 3, or it's computer role-playing game spin-off series "Might And Magic" and similar games, if we find them worthy enough. We may occasionally review non-Might And Magic franchise strategy or cRPG games, or write miscellaneous articles about them, should we see them as interesting games enough, and recommended for Homm and M&M -fans. We focus strictly on strategy and computer / console role-playing games, lead by Might And Magic -universe and franchise. Heroes Of Might And Magic franchise was originally created by Jon Van Caneghem, who created a game developing company called 'New World Computing' in 1984. Might And Magic cRPG franchise soon became the leading game series of the company, which later on lead to the Heroes Of Might And Magic spin-off series in the 90s, which eventually became even more successful. The early Might And Magic, and Heroes Of Might And Magic games up until the early 2000s were created by 'New World Computing', the original developer (which we think made the best Homm and Might And Magic games up until today), and published by 3DO; until 3DO went bankrupt, and the both of the game franchises were then bought by Ubisoft.